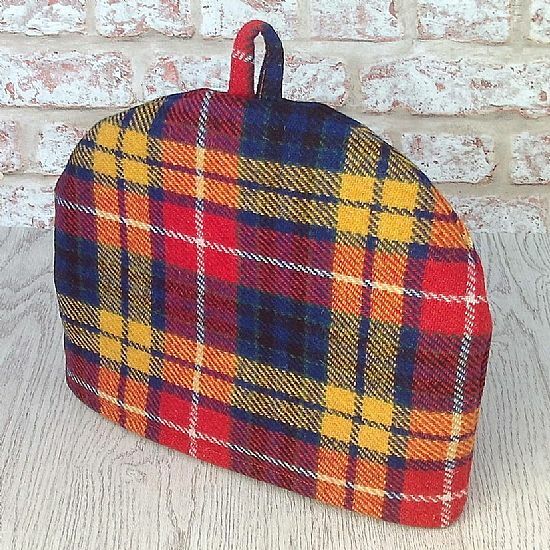 I love this bright tartan design Harris tweed, the colours are so bright and cheerful. 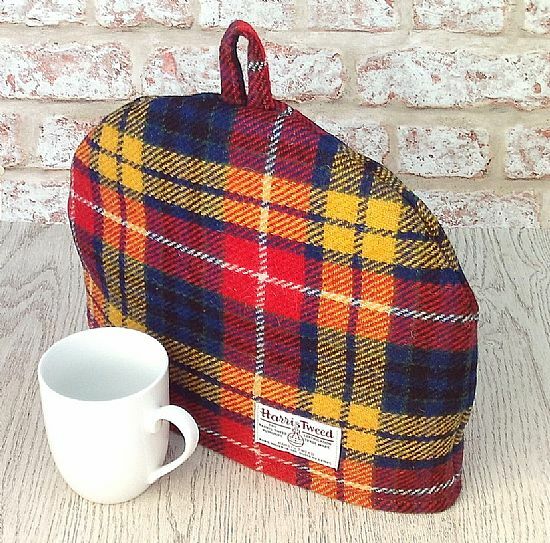 This beautiful quality cosy has been handmade from the world renowned Harris Tweed handwoven wool fabric. It is lined in white cotton fabric, and wadded with polyester. The Orb label, your guarantee of authentic Harris Tweed fabric is proudly displayed.